Throughout banking, mathematical techniques are used. Some of these are within software products or models; mathematicians use others to analyse data. The current literature on the subject is either very basic or very advanced. 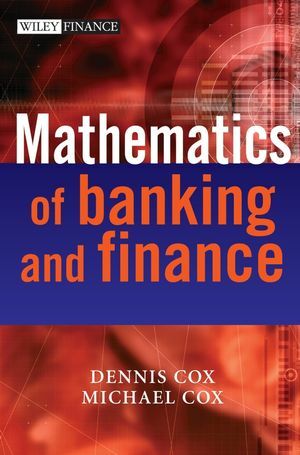 The Mathematics of Banking offers an intermediate guide to the various techniques used in the industry, and a consideration of how each one should be approached. Written in a practical style, it will enable readers to quickly appreciate the purpose of the techniques and, through illustrations, see how they can be applied in practice. Coverage is extensive and includes techniques such as VaR analysis, Monte Carlo simulation, extreme value theory, variance and many others. DENNIS COX is CEO of Risk Reward Limited, a Strategy and Risk Consultancy for the financial services industry, as well as being a director of a number of other companies. He was formerly Director, Risk Management at HSBC Operational Risk Consultancy and Global Risk Director at Prudential Portfolio Managers Limited, having spent 12 years in practice with Arthur Young and BDO Binder Hamlyn. Among a range of external interests he is a senior Council member of the ICAEW, a member of the Professional Standards Board, Chairman of the Financial Planning Committee of the London Society and a member of the Money Laundering Committee; together with being the Chairman of the Risk Forum for the Securities and Investments Institute. He also represents the public interest in the regulation of the Institute of Actuaries for financial service matters. MICHAEL COX has spent 25 years teaching quantitative methods to a wide variety of undergraduate students in departments ranging from agriculture, engineering, history, economics, business and medicine. 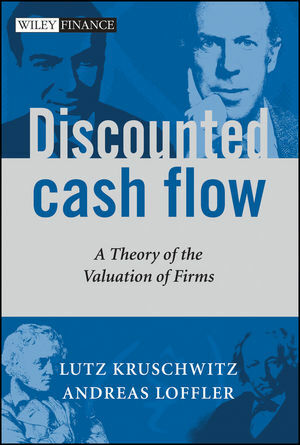 For over 20 years he has taught both statistics and management science to MBA students. During his career he has published some 50 referred papers in such diverse areas as statistical process control, total quality management, multidimensional scaling and the analytical hierarchy process. In addition Michael has co-authored two text books and developed a major piece of software. Michael works in applicable mathematics, the solution of real world problems employing statistical and management science techniques. Most of this research has included computer applications. 1 Introduction to How to Display Data and the Scatter Plot. 5 Standard Terms in Statistics. 9 Comparison of the Means, Sample Sizes and Hypothesis Testing. 11 Chi-squared Goodness of Fit Test. 12 Analysis of Paired Data. 15 Design and Approach to the Analysis of Data. 16 Linear Programming: Graphical Method. 17 Linear Programming: Simplex Method. 21 Inventory and Stock Control. 22 Simulation: Monte Carlo Methods. 31 An Introduction to Neural Networks. Appendix Mathematical Symbols and Notation.